On behalf of the entire Corindus team, we would like to wish you all a happy, healthy, and safe holiday season! 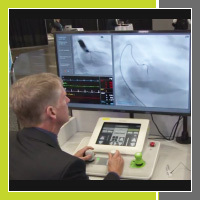 We recently received FDA 510(k) clearance for the second generation CorPath GRX System and displayed the system for the first time at TCT 2016. In this short video, see CorPath GRX in action and learn about the new and improved features of the technology including Active Guide Management and workflow enhancements. 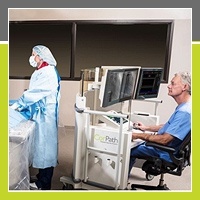 The Journal of Invasive Cardiology recently published the first case of robotic-assisted below-the-knee peripheral vascular intervention using the CorPath 200 System. A 56-year-old man with a history of hypertension, hyperlipidemia, prior coronary bypass surgery and PAD with a prior left superficial femoral artery stent who had developed Rutherford class 3 lifestyle-limiting claudication affecting both lower extremities served as the case study. The procedure was successful, demonstrating the effectiveness of robotic PVI in below-the-knee interventions.